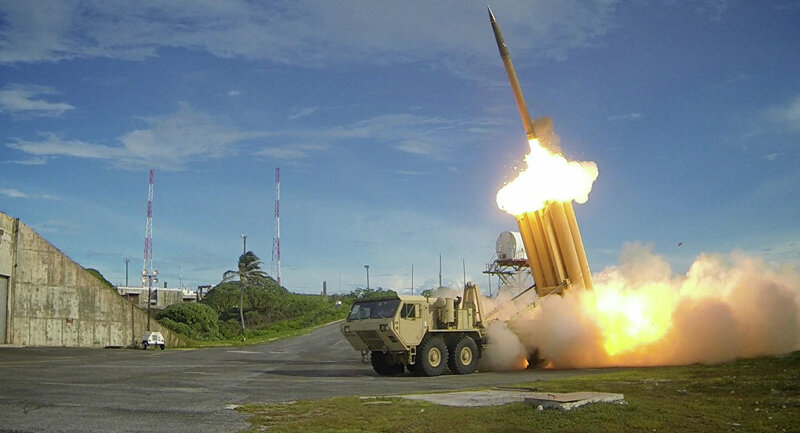 A South Korean defense official said Tuesday that his country’s government will honor an "alliance decision" to deploy a controversial US missile defense system, as Seoul attempts to make domestic political matters more transparent. US Forces Korea’s (USFK) Terminal High Altitude Area Defense system (THAAD) is in partial operation in the county of Seongju, where Vice Defense Minister Suh Choo-suk met with residents Tuesday, pointing out that the deployment of THAAD was agreed upon by Washington and Seoul to counter aggression from North Korea. Suh "clearly delivered the government's position that it honors the decision and requested active cooperation from local residents," the ministry said, according to Yonhap News Agency. Part of this was promising that his ministry will establish clearer line of communication with residents. He also advised against protest acts like blockading roads, saying such demonstrations are unwarranted. Prior to this conversation, hundreds of pro-THAAD South Koreans marched near the community hall, a regular gathering place for the anti-THAAD opposition. Waving US and Korean flags, they demanded that the system be deployed immediately. There have been regular protests against THAAD in Seongju since July 2016, when a private golf course in the area was selected for the system’s deployment site. In place already are a fire control and communication system, a powerful X-band radar and two interceptor launchers, installed in March and April. Four more launchers were brought in later and are in storage. Liberal President Moon Jae-in has criticized the rush to deploy THAAD while South Korea was still in the midst of an election cycle, a move seemingly done in anticipation of Moon’s election, out of fear the new president would stymie progress on the system. Moon has accused the Defense Ministry, which he inherited from his conservative predecessor Park Geun-hye, of bringing in the four additional launchers without notifying the government or the public, ordering a probe into the matter. Earlier this month, about 50 anti-THAAD protesters responded to secret late-night equipment deliveries by setting up checkpoints and stopping vehicles on the road to the deployment site to see if they were carrying system components. Police declared this activity an illegal inspection, but appeared hesitant to remove the checkpoint amid recent violent clashes with law enforcement and demonstrators.